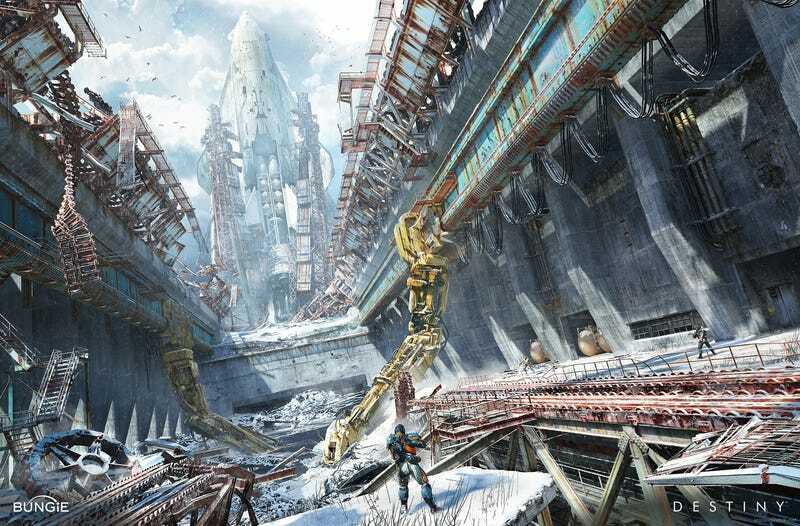 If you have played Destiny, you are familiar with Jesse van Dijk's phenomenal work. His work as lead concept artist at Bungie have resulted in incredibly vast settings full of detail. His architecture feels real, with purpose, history, character. His titanic machinery, overwhelmingly heavy, solid. Jesse van Dijk is Dutch concept artist now living in Seattle and working as lead concept artist at Bungie. In addition to his work in the games industry, he has also done freelance work for major Hollywood film studios and international book publishers. You can follow his work on his website and Twitter.